The other morning I woke up so tired. I drank 2 cups of coffee but it wasn’t working. I needed to get some things done around the house and run a few errands. Since I felt sleepy, I figured I should just go back to bed and get another hour of sleep. However, the coffee I drank earlier left me alert and my mind was starting to wake up, but not my body. Rather than risking getting anxiety attacks from an additional cup of coffee, I decided to jump on my bike and do some springs up and down my street. I figured the quick rush of the blood flowing through my body would wake me up. I did 20 second intervals and BOOM! I was awake! Getting on my bike did more wonders for me than caffeine did that morning. I find this to be the same case when bike commuting. 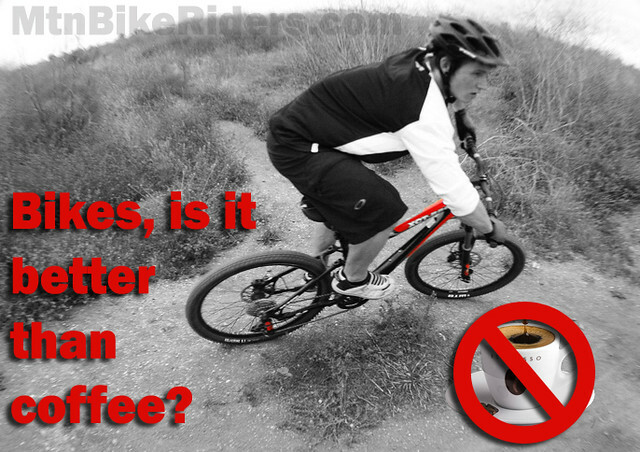 When ride my bike to work, I typically don’t drink coffee because the bike does a better job in waking me up. This is due to the heart pumping blood through out the body and releasing endorphins and oxegeyn giving you a euphoric high of happyness so to speak. Previous PostPrevious Let’s see if you can relate.